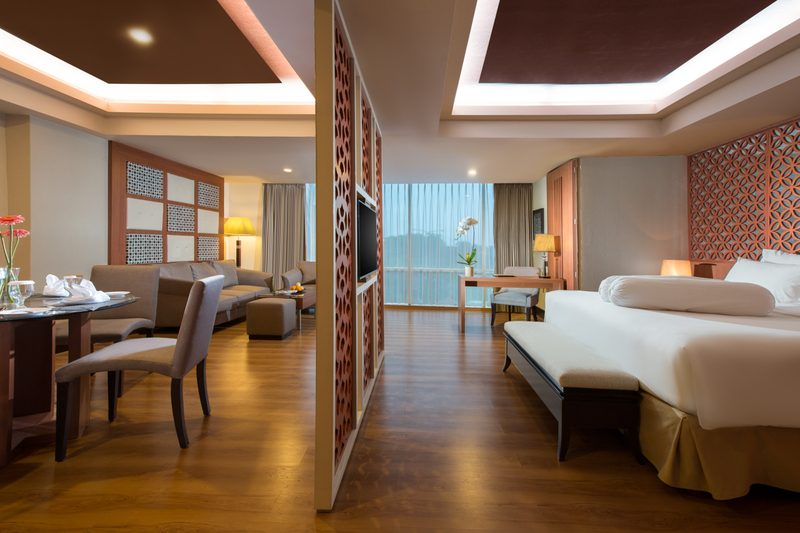 Our Junior Suite Room offer you the perfect environment for an exceptional stay in Yogyakarta. The rooms are designed particularly and comfortably. Wifi accses point in every room will support your bussines activity. They offer you, among other things, a cozy king-size bed, a working area and a modern bathroom.